At I-Brauhaus NYC we understand the impact of long lashes. A feathery long lash draws attention to the eye and revives the face with a younger look. If your lashes are sparse eyelash extensions thicken the lashes with individual hairs adhered to your own lash. If you are going to a special event or just want to have everyday amazing lashes, extensions add that oomph. If adding extra lashes isn’t something you are interested in our lift and tint requires only your own naturally grown hair. Rather than using one of those terrifying eyelash curlers everyday our lift and tint perms the lashes for eight weeks and the tint darkens them to define them. Who Should Get Eyelash Extensions? Really anyone that has ever wanted dreamy eyes and can’t go a day without mascara. Eyelash extensions create the look that the top of the line mascara intends to achieve. Where mascara uses thickening creams, primers and all sort of other chemical tricks, eyelash extensions actually thicken your lashes and actually elongate the lash by adding real hair. The result is a very natural looking lash that replicates your own lash line but a better version. There is also the benefit of being worry free. You’ll never have to worry about your clumpy spider like lashes or black ink dripping down your cheeks. Eyelash extensions last about two weeks before needing a bit of maintenance. They are made up of tiny individual hairs of different material (depending on what you choose) that are glued to the lash. The more careful you are with your lashes the longer they will last. After the extensions are adhered it is best to avoid water for the first day and then after that to avoid oil based cosmetics as they can cause the glue to breakdown. If you decide you do not want the extensions are any more professional assistance is needed to take them off so as to best take care of your natural lash. 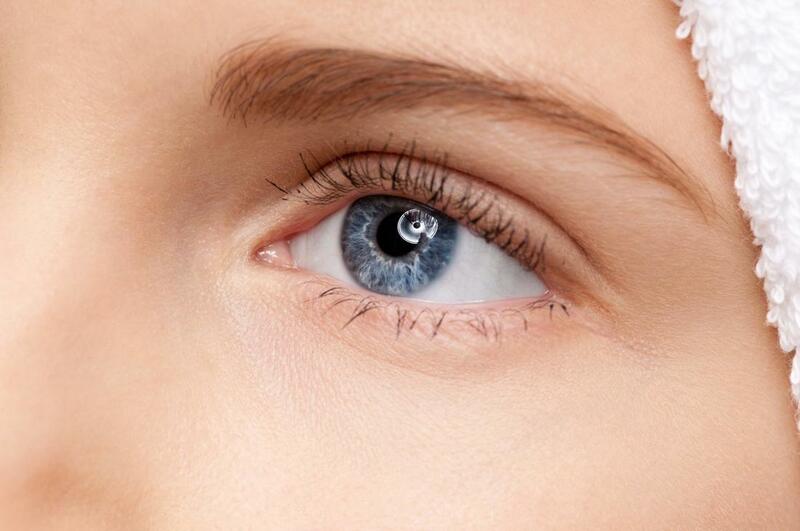 Who Should Get An Eyelash Lift And Tint? Eyelash lift and tint works with the natural hairs of your eyelash. It is this that makes it a little more appealing. It is a semi permanent application so it has the same benefits of not having to worry about mascara smudging or clumping or taking that extra time in the morning to get your lashes ready. When you wake up they are ready to go. The lift actually lifts the hair of your lashes up from your eyes so your eyes appear larger and your lashes longer. Think about it like a perm for you lashes. The tint is a dye that darkens your lashes to a color that highlights your new lifted lash look. An eyelash lift and tint lasts about eight weeks and then naturally begins to straighten and fade. The first day after the application you cannot get the lashes wet as this could ruin the lift. You must also not go near any kind of heat or steam. No saunas and no hanging out over the stovetop. After the first day it is ok to use mascara on them but never use waterproof mascara. When your eight weeks begin to wrap up you can always book an appointment for a touch up refresher and get your lashes lifted and tinted again.